Crazy, crafty and critter lovin’…that’s me. Knitting, crochet, embroidery, quilting, tatting, lace making (needle lace)…you’ll find me doing one or another of these at all times. When the Seattle weather allows, I also enjoy a bit of gardening. My critters are currently two labs who think they are my kids: sweet and spoiled. Though my MS (multiple sclerosis) slows me down sometimes, they keep me moving around the dog park anyway. 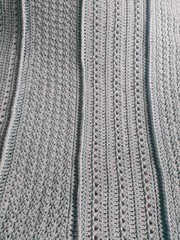 This blog has a few category tabs just below the picture at the top (ie crafty, critters, cheery, crazy, charity, free patterns, etc). If you want to avoid politics or things that tick me off, stay off the crazy tab. You can also see the titles of my posts, my tweets, and my various articles on the right hand side of this page. Enjoy! Have you ever seen Ravelry? It’s a great free site if you’re a spinner, knitter or crocheter. If you join up, (it’s free) be sure to send me a friend request. I don’t do blogs, but I am definately interested in registering for the use of your site. Could you please tell me where to ‘register’? You’re welcome to subscribe to this blog. I’ve added a link on the right hand side of the blog where you can add your email address and it will send you an email any time I write something new. Drop in any time ! I’d love to hear your comments. I really loved this post. You describe this topic wonderfully. When hiring home contractors it really is step to opt for a trusted name in construction. Experienced and efficient staff should shoot for excellence and absorb every detail of your property. Greetings from Idaho! I’m bored at work so I decided to browse your blog on my iphone during lunch break. I really like the info you provide here and can’t wait to take a look when I get home. I’m amazed at how quick your blog loaded on my cell phone .. I’m not even using WIFI, just 3G .. Anyways, amazing blog!